Dental implants from your New Freedom, Shrewsbury, and York County area dentist are an ideal form of tooth replacement, as the implant restores full function in a way no other process can, with the titanium post acting as a new root in the jawbone. Through an integration process, this restoration becomes part of the permanent structure. A crown, bridge, or full denture can be secured on an implant for a comfortable, beautiful smile. This method of tooth replacement has been proven safe and effective in the more than 30 years it has been used. 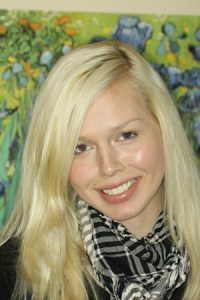 Renowned expert in cosmetic dentistry, Dr. Haywood is the only dentist that provides all phases of implant care in Shrewsbury and the South York County area – from initial evaluation to implant care. Dental implants change not only your smile, but also how you live! This form of treatment helps our patients rediscover the confidence and comfort they deserve. Speak, laugh, and eat freely with dental implants. 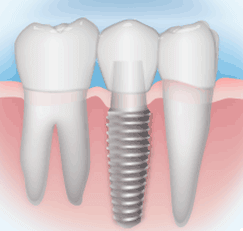 Our implant solutions are affordable for most people and as elegant or simple as you might need. Often complex cases are more costly and the fees for simple cases are much less. Because it takes time for implants to heal properly, we believe in not rushing the process. Our expectation is that you will be thrilled with the result, regardless of the length of time healing takes. Single tooth replacements can be restored in as little as 6-8 weeks. Full restorations of complex cases can take over a year. Dr. Haywood, an expert in providing this high level of care, maintains an exceptional success rate in the provision of dental implants in our comfortable office setting. We are committed to offering each patient the most functional, beautiful smile possible, as that is what you deserve. In our practice, you can experience tooth replacement as you have never imagined with the comprehensive care you deserve (all right here in our offices) to finish the job efficiently and in the quickest time frame. To determine if dental implants are ideal for your situation, we recommend a full dental examination that includes x-rays or a CAT scan and a discussion of your health history. Throughout your consultation process, Dr. Haywood will listen to your specific needs, and answer any questions you may have about dental implant treatment. Our team has the skill, compassion, and knowledge to see you through a comfortable and successful implant process. Dr. Haywood designs each case, performs all the necessary surgical placements or grafting procedures, and restores the cases. When advisable, we do advanced computer guided implant surgery in select cases for planning as well as for creating implant guides. We have done thousands of implant cases with tremendous success, and can show you videos, photos, and models of cases just like yours. Dr. Haywood maintains a prestigious Fellowship in his Implant Academy. We offer limited or extended warranties. We stand behind our work and pride ourselves on our integrity and ethics. Even though it takes so long for osseointegration, the sutures are typically removed seven to fourteen days after surgery. When the gum tissue is ready, a special post is attached to the implant. It is the support for the new porcelain crown. Today’s technologies often include zirconium abutments attached to the implant post, to assure that the new porcelain tooth possesses translucency properties similar to a natural tooth. There is a high rate of failure of implants in patients who smoke, so dental implants tend to be a challenge for patients who are actively smoking. 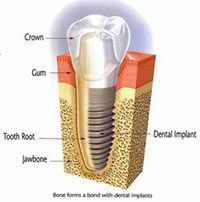 We will help you determine whether dental implants will be a good tooth replacement option for you. Proper brushing and flossing will maximize the longevity of your new dental implant. To learn more about the entire dental implants process or to schedule an initial consultation, call us today at our Shrewsbury dentist office! Dr. Haywood and his team would love to work with you if you are in the York – New Freedom area!